Nov. 25, 2015, 9:43 a.m.
Chiefs in the Western Region have made an urgent appeal to the National Development Planning Commission (NDPC) to ensure that the grievances and aspirations of the region will be addressed in the long-term national development plan the Commission is spearheading. According to them, the region abounds in so many natural resources – including cocoa, gold, timber, bauxite, rubber and oil – which contribute greatly to the Ghana’s gross domestic product (GDP) and foreign revenue, yet the region is very poor, lacks basic infrastructure and has high levels of unemployment. 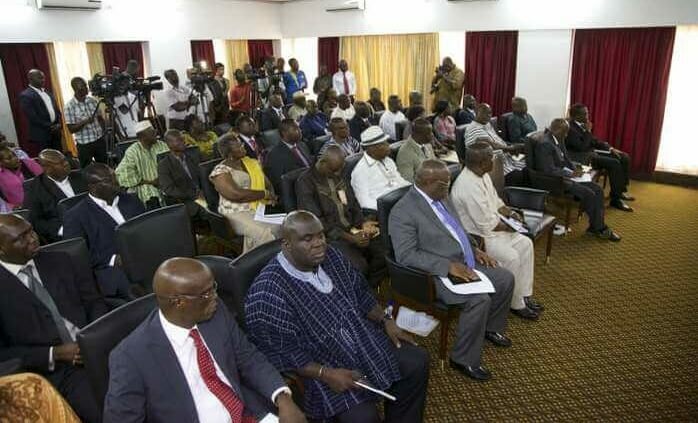 These were among the sentiments expressed at the Western Region House of Chiefs on 18 November 2015 during a courtesy call from a group of NDPC Commissioners and staff and political party representatives (Convention People's Party, Great Consolidated Popular Party, National Democratic Congress, New Patriotic Party, People's National Convention and Progressive People's Party). This was ahead of the Western Region Consultative Forum, held in Takoradi on 19-20 November 2015, as part of the process for the preparation of a long-term national development plan. On behalf of his colleagues, the acting President of the Western Region House of Chiefs, Nana Kwesi Agyemang IX, Omanhen of Lower Dixcove, expressed disappointment at the fact that no chief had been appointed an NDPC Commissioner. He, therefore, appealed to the leadership of NDPC to expedite action in that regard since chiefs are custodians of the land on which the envisaged development plans would be implemented. The New Patriotic Party Member of Parliament for Effia in the Western Region, Hon. Joseph Cudjoe, cautioned that differences in ideologies and philosophies of the various political parties should not override the process and the eventual plan. He said, whether we get "a state-driven plan as reflected by the Convention People's Party (CPP) thinking or private sector-driven as reflected by my party, New Patriotic Party (NPP), we want the object and vision enshrined in the document achieved." According to Hon. Cudjoe, much as there is scepticism in some quarters regarding the 40-year development plan, the vision should be adhered to by governments, whether within four years or more until the end of the 40 years. He added that regardless of the challenges the plan may encounter, the era where cash crops and mineral resources, among other commodities, are transported from the region and the revenue is received in Accra without the region benefitting directly, should be a thing of the past. This, he said, was a reminder of the need to decentralise such transactions to augment national development. "Over the next 40 years, we want to label ourselves as a resource processing hub, where employment will be created," and this vision will fit into the national plan of value addition to commodities, Mr. Cudjoe said. 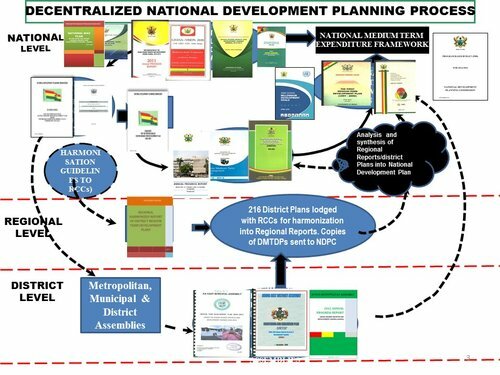 The Director-General of NDPC, Dr. Nii Moi Thompson called on Ghanaians not to allow the 40-year duration of the national development plan scare them, but to view it "as a total of 10 medium-term plans, each lasting four years, that would be situated in a long-term or strategic context. He pointed out that the lack of a strategic framework to guide medium-term development planning under the Fourth Republic explains why “development outcomes over the period have been sub-optimal. He said that as representatives of the people, Parliament would have the power to review the long-term plan every 10 years to account for possible changes in the domestic and international environments. 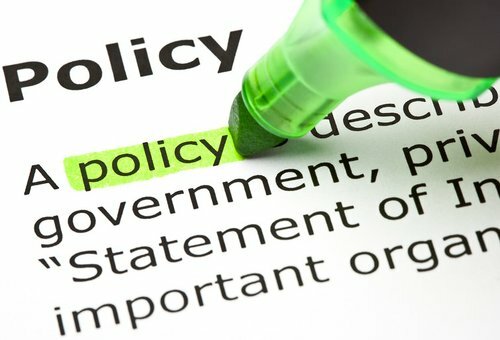 While the final document would be binding on political parties, it would also be flexible enough to allow for ideological and operational differences between political parties during the implementation of the medium-term plans that would be based on the long-term plan but informed by their respective manifestos. The Director-General enumerated a number of preconditions, however, which must be met before the long-term national development plan can be effectively implemented: These were: Energy self-sufficiency; land reform; civil registration and vital statistics; a national identification system; completion and consolidation of the street naming and house numbering exercise; as well as targeted public sector reforms, among other. He also listed a number of “drivers” that will be needed to ensure that the stipulated targets of the long-term plan are met and sustained. These drivers include: Attitudinal change; human resource development; fiscal responsibility and macroeconomic stability; as well as efficient service delivery by both the public and private sectors. After the opening session of the forum, groups were formed to exchange ideas for inputs into the long-term national development plan. They discussed five broad themes: social development; economic development; environmental development; institutional development/governance; and Ghana in the international community. Participants at the forum included officials from decentralised ministries, departments and agencies; civil society organisations; students; political party representatives and traditional rulers from the region.